In fact, in John chapter 6, we see an amazing statement. I think this is so fascinating. In John chapter 6, the only time we know of that Jesus ever asked for advice, He turned to Philip and He looked up and He sees this crowd and in John chapter 6, verse 5, He said to Philip, "Where shall we buy bread for these people so they can eat?" Ha, oh man! Can you believe it? Then John has an editorial comment. "He asked this only to test him, for He already had in mind what He was going to do." (John 6:6). Do you realize that the Lord brings us to the place where we are powerless, where we simply cannot feed the five thousand, and He does it deliberately? In fact, it's very interesting because having said that, Philip answered Him in I think a somewhat sarcastic way, "Eight months of wages would not buy enough bread for each one to have just a bite." And I think all the disciples felt that way. If we come back to Mark 6, we see in verse 37, they said to Him, "That would take eight months of a man's wages, are we going to go out and spend that much on bread to give to this crowd? I mean, they're hardly five thousand of our intimate friends. We don't even know who they are! We haven't eaten. What are we going to do?" But Jesus said to them, "You give them something to eat." He was deliberately, deliberately giving them something, commanding them to do something they could not do. Now His response becomes very very interesting. Because He said to them, "How many loaves do you have?" And I think that they're kind of standing there thinking, well, if we had enough loaves we would just organize it and feed them. But then He says something else, "Go and see." Now He said it just like that. You see, He gave them (claps hands) bang bang kind of command. "Go and see!" He gave them no choice. They knew it was futile. They knew it was useless. But what are they going to do? You can't argue with the Lord. His authority, His force, His energy, His commitment. He simply said to them, "Go and see." Now this raises a question. Why does He send His men to find out how much food they had when He already knew they didn't have enough to feed the five thousand? Why would He do that? That's just an amazing command. Why does He send them out and make them face their utter inadequacy? Now when I talk about inadequacy, it's very important for you to understand that I'm not talking psychologically, I'm not talking professionally, I'm sure that you are more than able to take care of yourself. I'm sure that with your training, your education, your experience, your opportunities, you can, you can run your business. But there's one thing none of us can do. None of us can feed the five thousand. And what we need to understand is this. 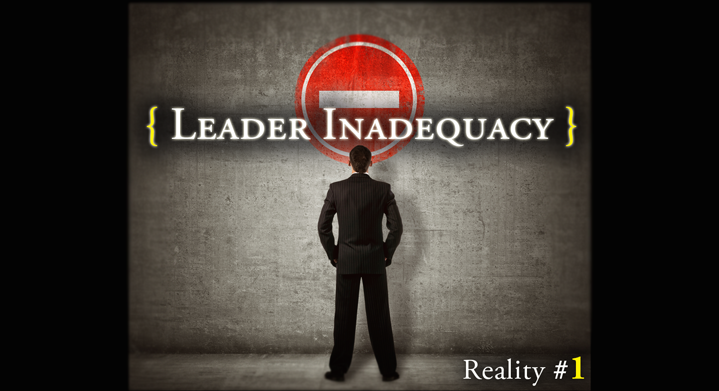 Jesus wants us to face fully our utter inadequacy. We don't have the spiritual resources to make the spiritual difference that He wants to make through us. And He sent His disciples to go move out, fan out, twelve men walking through the five thousand, "Do you have any food, do you have any food, do you have any food?" And you know what they found. The little boy, maybe twelve years old or so, with a lunch. Five loaves and two fish. That's it. That's all. He sends them out to make sure they knew how utterly incapable they were of doing what He called them to do. Now I wonder right now if you're struggling with an overwhelming requirement from the Lord. If may be your business. It may be that the economy has really wiped out your business. It may be that your career is off track. It may be that you are now in a place where you can not provide for your family as you always have. It may be in your ministry. But you are up against a wall and you're struggling, struggling, struggling. Why did He send them out to discover what they already knew?